Adolfo and Brianna Gonzalez have put their Old Fourth Ward Taco Cantina on the market. The couple is looking for someone to acquire the restaurant's assets and take over the lease without the Taco Cantina name, according to the listing. $100,000 would buy a new lessee all furniture, fixtures, equipment, and rights to lease. Taco Cantina's name, recipes, artwork, and branded items are not included in the sale but a new lessee could continue operating the restaurant as a taco joint. The monthly rent is $6,500 "all in" and the kitchen is set to "pump out any cuisine or volume whether [quick-ervice restaruant], casual, or upscale." 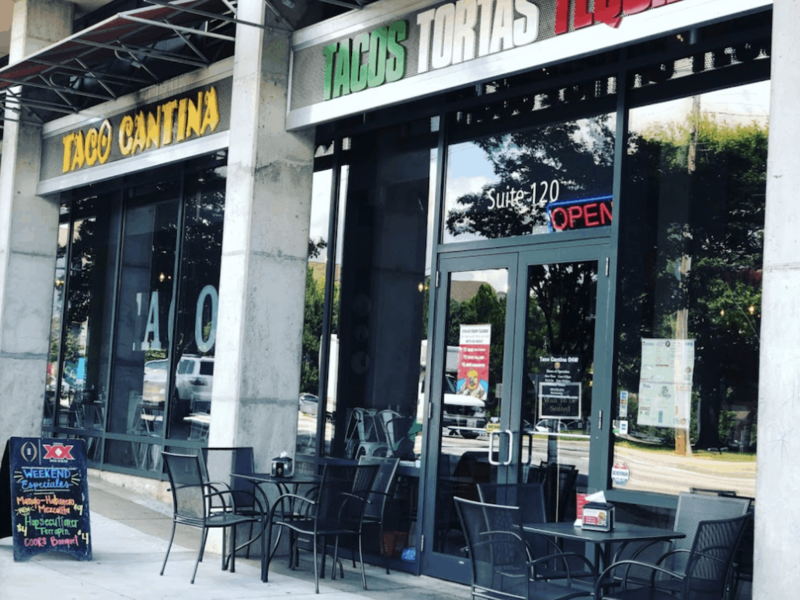 The Gonzalez family, who will keep operating the original Taco Cantina in Smyrna, spent almost $650,000 to open the Old Fourth Ward eatery, according to the sales listing. It first debuted in 2017 and the "absentee owner [has been] unable to grow the business per other commitments and restaurant." Situated at 480 John Wesley Dobbs Ave NE Suite 120, the 2,400-square-foot restaurant has 80 seats in the dining room and a 16-person bar. string(57) "480 John Wesley Dobbs Ave NE Suite 120, Atlanta, GA 30312"
Not being open Sunday in such a busy area on Sunday is an interesting choice. Great food though! Honesty the moral went down after they screwed over one of the best bar managers I’ve ever met.